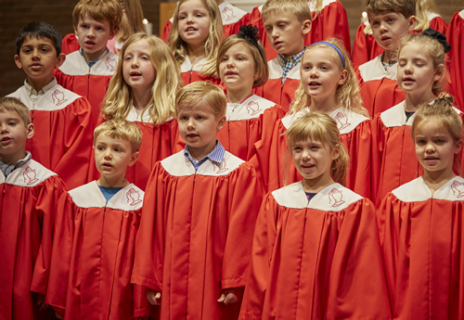 Dynamic Deacons is our choir for children in grades K-2. We practice every Tuesday from 5-5:30 p.m. in the Music Center. Each singer receives a choir handbook at the first rehearsal explaining responsibilities and expectations of participation in the choir program, and will include the year’s singing schedule.